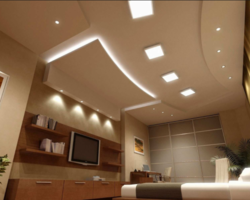 We are a leading Manufacturer of interior lighting from Mumbai, India. This Interior Lighting provided by us in the market is highly asked for. The offered light is highly praised in the market for the high level of brightness and low release of heat it provides. Further, the product consumes minimum energy and is very easy to install and maintain. This impeccable Interior Lighting, provided by us to our clients in various sizes and at a reasonable price, is highly demanded. Looking for Interior Lighting ?